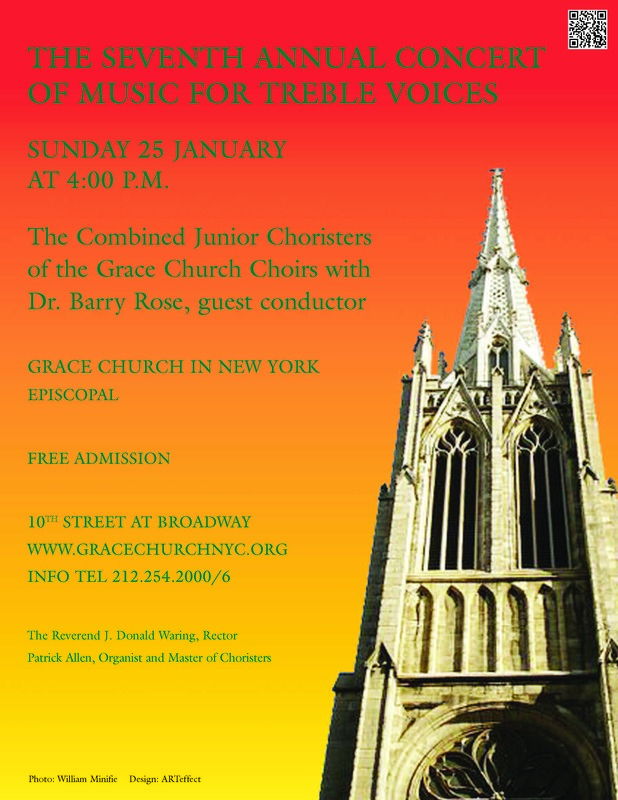 The Seventh Annual Concert of Music for Treble Voices, Sunday 25 January 2015 at 4:00 p.m. Welcome Home to our friend and inspiration Dr. Barry Rose. Dr. Rose will be working with the Choristers and taking choir practices between Sunday 18 January and the 25th when at 4:00 p.m. in the Church and with our Junior Choristers they together will offer the Seventh Annual Concert of Music for Treble Voices. Compositions will include those by Attwood, J.S. Bach, Burgon, Copland, Plumstead, and Dr. Rose himself including t a recently completed sacred song cycle that Dr. Rose has written for the choristers.